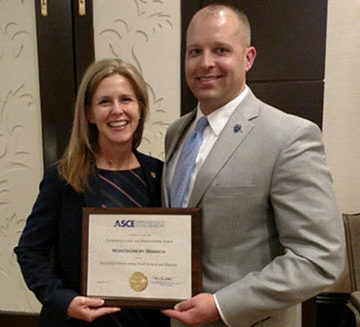 The Alabama Section Montgomery Branch website recently was honored as ASCE’s 2016 Outstanding Section and Branch Web Site Award in the Small Section and Branch membership category. 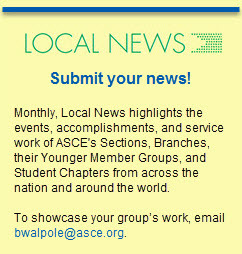 Brad Williams, P.E., M.ASCE, Montgomery Branch president, has taken the lead as the site’s webmaster. The Branch website has been integral to connecting members with each other and the Alabama Section, while also providing updates and information from the Society. The Australia Section recently put together a successful joint event with the Water Panel of Engineers Australia, welcoming Ayanangshu Dey, Ph.D., C.Eng, M.ASCE, from Kolkata, India, for a lecture and lunch afternoon at Hawken Auditorium of the Engineering House in Brisbane. 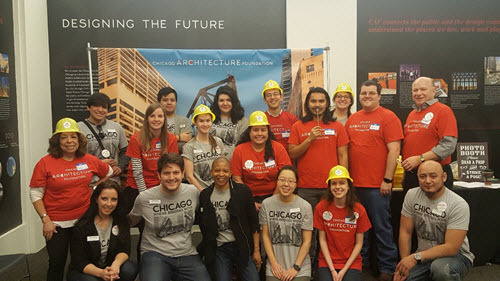 The Illinois Section YMG and the Student Outreach Committee recently sent a group of volunteers to the Chicago Architecture Foundation’s annual Engineering Fest in celebration of National Engineers Week. 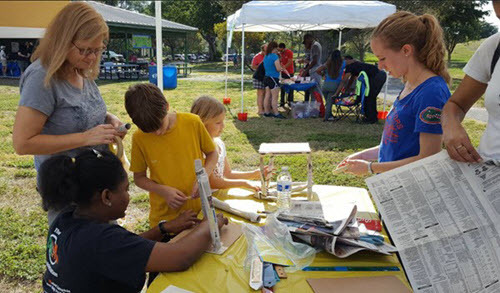 The event attracted more than 1,500 visitors, and volunteers engaged with kids on various hands-on-activities involving bridge designs. 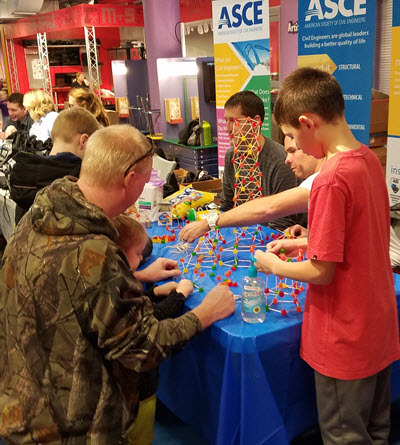 Members of the Nebraska Section and University of Nebraska at Omaha Student Chapter recently volunteered to conduct hands-on activities at the Omaha Children’s Museum. The outreach event is part of the Section’s effort to celebrate its Centennial Year. 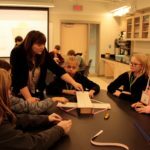 Children were inspired to create structures using gumdrops and toothpicks, towers out of newspapers, and structures that could withstand the weight of books using only tape and one piece of computer paper. More than 400 children attended the event. 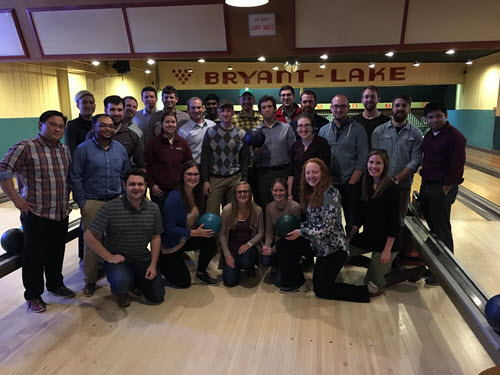 The Minnesota Section YMG recently had a bowling night at Bryant Lake Bowl, with a retro feel complete with handwritten scorecards. More than 30 Younger Members joined the fun. Keep up with the group on Facebook. 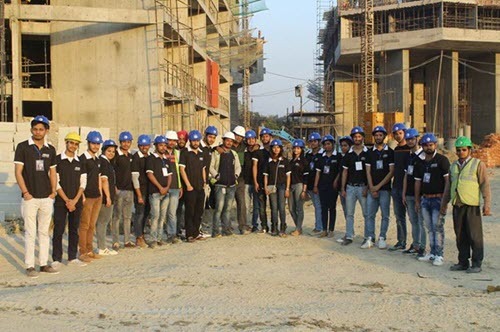 The Punjabi University, Patiala Student Chapter recently organized a tour of a multistoried hostel building construction site at nearby Thapar University in Punjab, India. The visit served as great experience for the members who learned about different facets of construction work, including different types of concrete, shutters, and scaffoldings used in multistoried building projects. The BYU-Idaho Student Chapter recently used food to make a recent planning meeting more fun. 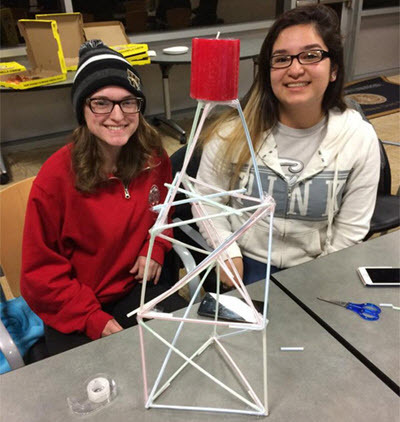 The students shared information on the upcoming semester and activities, while also competing in a tower-building contest using hard pasta and marshmallows. Keep up with the Student Chapter on Facebook. Members of the Palm Beach Branch recently enjoyed volunteering with their families at Engineering Family Fun Day. 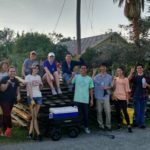 The stations included a bottle-rocket launch, a gumdrop dome, solar power, tablet programming, and a demonstration of the robots built by the Children of the Swamp robotics team. Keep up with the Branch on Facebook. 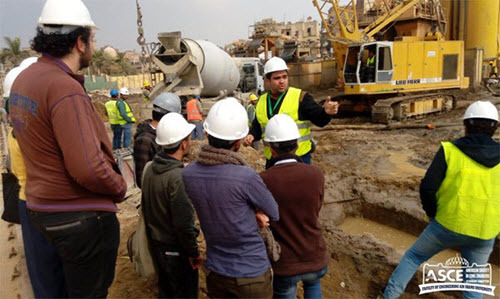 The Ain Shams University Student Chapter in Cairo, Egypt recently toured the construction site for the 57357 Hospital extension near the school. 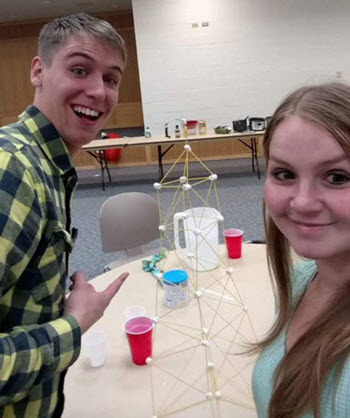 Members of the Western Michigan University Student Chapter recently challenged each other to a straw-tower-building contest with Qdoba gift cards to the victors. Thirty Texas Section members from across the state met in Austin, Feb. 7, for the 2017 Texas Legislative Drive-In to ask legislators to protect funding recently allotted by transportation and water infrastructure propositions. 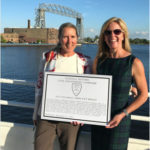 The inaugural advocacy effort was led by Section President Craig B. Thompson P.E., M.ASCE, with help from Vice President-Professional Travis N. Attanasio, P.E, M.ASCE, and the Section’s Governmental Affairs Committee. 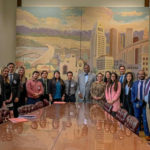 Attendees made visits to their respective representative’s and senator’s offices, spreading information about infrastructure-funding issues, ASCE’s Failure to Act report, and ASCE’s Infrastructure Report Card. 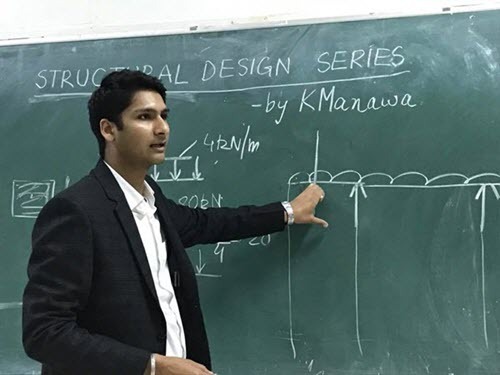 The Student Chapter at PEC University of Technology, in Chandigarh, India, is hosting a Structural Design Series as part of its Students Interaction Program, running through April. The series challenges the students to use various software tools to complete a variety of structural design projects.